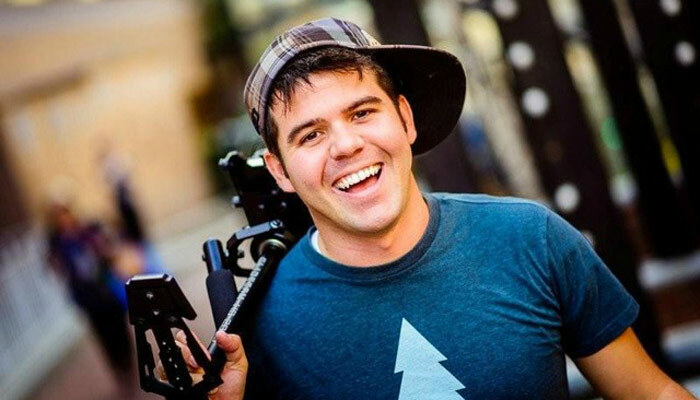 Devin Graham is a professional YouTube videographer and the creator of the popular YouTube channel DevinSuperTramp, which boasts over 4.5 million subscribers. His videos are aways very original and entertaining, often involving extreme sports like parkour and video game mashups or parodies. Devin is also a member of The Church of Jesus Christ of Latter-Day Saints. As a Mormon, he tries to keep his videos clean and family-friendly, and he is great to work with because of his friendliness and optimism. Devin is regularly contacted by companies so that he can advertise for them. He won’t advertise for alcohol or tobacco companies because of his beliefs. Devin started filming his snowboarding stunts when he was quite young. After he broke his back and his legs, he gave up snowboarding and other extreme stunts and decided to just film those things. Devin was a major factor in the launch of Lindsey Stirling’s career—he contacted her to do a YouTube video and taught her how she could succeed using YouTube as a platform. Devin attended Brigham Young University, an LDS college in Provo, Utah, where he studied filmmaking for a while before he dropped out to focus on his growing YouTube career. He got married in August of 2016 to Megan Smee, who is also LDS. The video below is a closer look at what Devin Graham does as a professional videographer and how he got there.